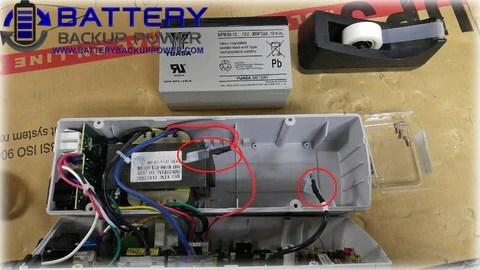 How To Replace The Battery In A BBP-425CS-SSW-LI Or BBP-625CS-SSW-LI Uninterruptible Power Supply (UPS) – Battery Backup Power, Inc. Replacing the battery or batteries in an uninterruptible power supply (UPS) can prolong the life of the unit while minimizing costs. Sealed lead acid batteries are widely available and are fairly inexpensive, especially compared to replacing an entire uninterruptible power supply. If the UPS is still working, but just doesn’t have the backup time it once had, a battery replacement may be the best bet. Before you start, make sure that you have the right battery. In this instance, a 12 volt, 7.2 amp hour sealed lead acid battery is required. Also, disconnect the unit from external power and all attached devices or equipment (computers, monitors, 3D printers, lab equipment, etc.). 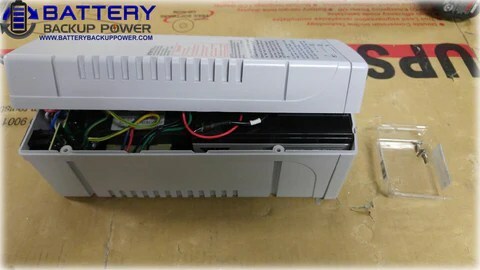 Step 1: Flip the uninterruptible power supply (UPS) over and remove the 4 screws located on the bottom. Step 2: Turn the uninterruptible power supply (UPS) right side up. 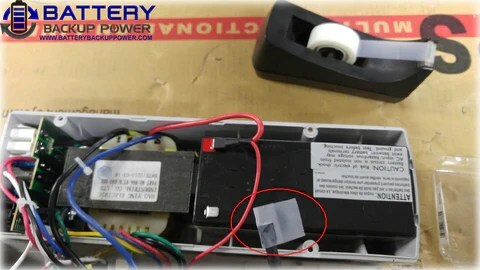 Step 3: In order, remove the tape, black quick connect, and then the red quick connect on the exposed battery. 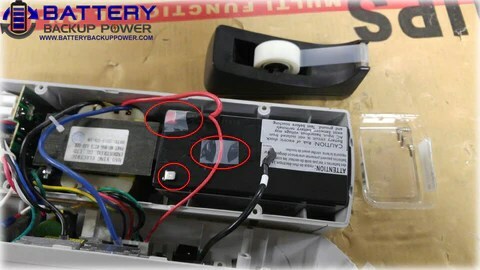 Step 4: Using non-conductive tape, tape off the black and red quick connects to prevent a short out when installing the new battery. Step 5: Simply remove the battery by sliding it out of the case. 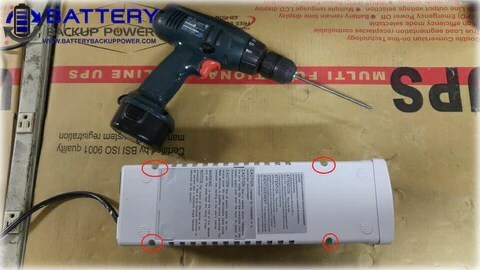 Step 6: Install the new battery and re-apply tape to the areas circled for safety. Note that there may be a small spark when both terminals are connected. This is normal when completing the circuit. 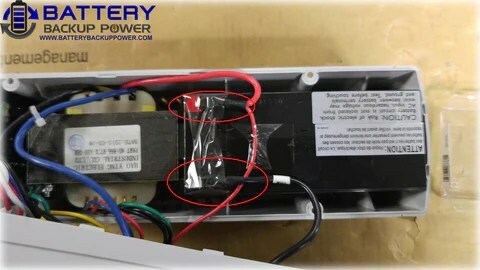 Step 7: Attach the top of the uninterruptible power supply (UPS) case and flip the unit back over. Install and tighten the 4 screws.